This is definitely the war. 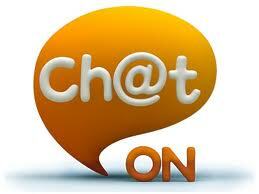 Not enough to the overwhelming success of WhatsApp, with Apple also had joined the bandwagon with IMessage, nor Huddle on Google +, now just entering, I large in the field of instant messaging for mobile Samsung messaging application with Chaton. Aside from the name, which seems downright awful when you say out loud (like what happens with WebOS), just take a quick look at the video to see that the Korean company, in a rather surprising move has filed a application that falls short of the circumstances. Chaton allows private conversations between two people, group chats, share your photos, videos, voice memos, contacts, location, calendar events and even send a sort of animated gifs that seem somewhat cheesy but end up with grace . It also has some rather curious details as to comment on the photograph in a separate space, much like you would on Facebook, instead of the chat itself or some kind of ranking that shows the more people you interact with. It not only looked great but has hit the nail including all these features in their day, when compared with WhatsApp IMessage and GroupM , we consider that became an instant messaging app on a win app. Because one of the keys to success WhatsApp it’s completely cross platform, Android will be Chaton, IOS, BlackBerry OS and of course, although it is almost ironic, also in Bada. 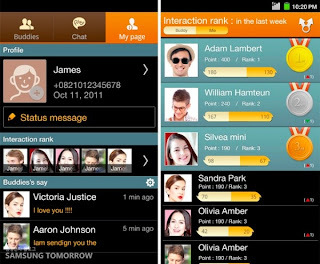 To complete the coup also recently commented WhatsApp the urgent need to have a desktop version, Chaton include it as a webapp so that we can access it via browser. I guess it shows, but I’m pretty excited about this new experiment in Samsung, which according to the press release the company will be available soon and will appear gradually to different platforms. While Apple and RIM will continue to offer betting on such applications for one platform do not think that will fail miserably, but will not get the success of WhatsAppp. WhatsApp just think that takes too much time on the throne, if we stick to the lousy service in recent weeks over so undeserved, so it’s time to reach the competition and touch make a move.